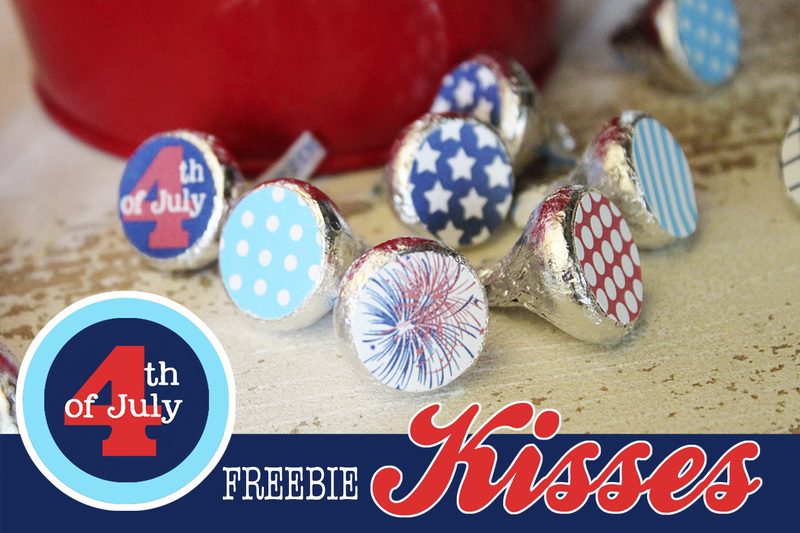 I'm excited to share a new FREEBIE today for the upcoming July 4th holiday! Make these sweet KISSES for neighborhood parties, backyard get-togethers and more. Put them in small candy cups (find these on the cake decorating aisles of craft stores), wrap them in tissue paper with red, white and blue ribbon or even use them as part of a centerpiece for your July 4th tables. So cute and easy, too. If you haven't made these Hershey Kiss labels before, check out this tutorial which will help explain it all... HERSHEY KISS TUTORIAL. 2. 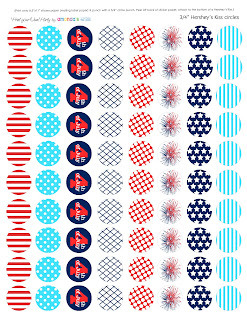 Print it onto ADHESIVE PAPER in an 8.5"x11" sheet. I buy THIS PAPER from Onlinelabels.com and LOVE IT! I choose the weatherproof, white glossy full sheets. You can print anything and turn it into a sticker and they allow you to order by single sheets, too. Thank you so much for this post. I want to let you know that I posted a link to your blog in CBH Digital Scrapbooking Freebies (please, notice the new url for my blog), under the Page 4 post on Jun. 19, 2012. Thanks again. Amazing as always! I love it. I hope you'll add this one to my Patriotic Project Parade. Thanks for sharing at the Red & White & Blue Link Party! You're featured today at Happy Hour Projects! Thank you so much for this post. I want to let you know that I posted a link to your blog in Creative Busy Bee Craft Inspirations, under the Page 2 post on Aug. 11, 2012. Thanks again. Today you suffer pain and neglect but tomorrow is an another day so worry no more because every pain has an exchange. The exchange to it is happiness and unconditional love. Visit my site for more information. Have a good day and God bless your site.